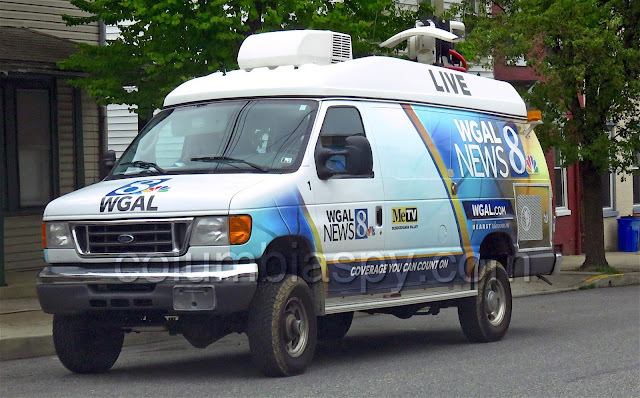 Columbia Spy and WGAL News 8 arrived on the 200 block of Walnut Street at the same time early this afternoon to report from 215 Walnut, the residence of Michael Paul Geib. Geib was arrested for an alleged sexual assault of a woman on the 300 block of North Second Street on Tuesday afternoon. While a News 8 cameraman was setting up a camera and tripod, several women arrived in a vehicle and parked in front of the residence. One of the women exited the vehicle and shouted at the cameraman to leave. The Spy spoke to the cameraman as he walked away from the residence. Although he was aware of his right to photograph in public, he decided to leave the scene anyway, most likely to avoid further conflict. Two of the women shouted and gestured at Columbia Spy to leave as they entered the residence. A short time later, news crews set up on the 300 block of North Second, close to the site of the assault. 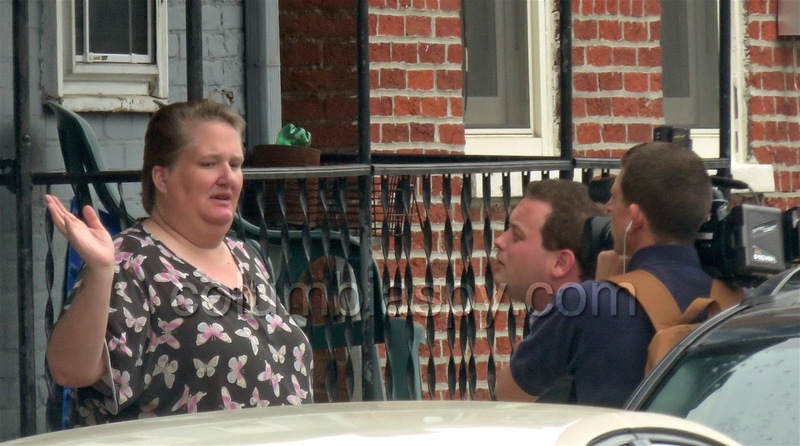 CBS 21's Kyle Rogers, shown above, interviewed a witness. 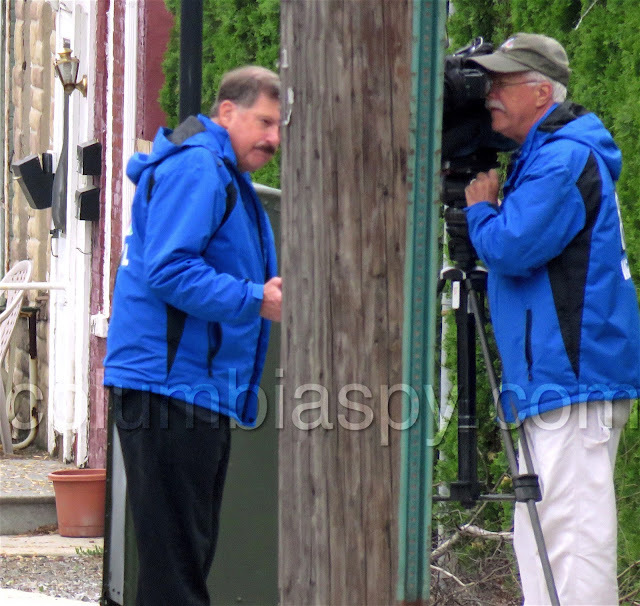 Simultaneously, News 8's Ed Weinstock set up shop and conducted a report from the other side of the street. Well, at least our local reporter "got the shot." They want no public attention on "their" street, yet the crime was committed on a public Street in broad daylight. Many Columbia people have a tendency to believe that they own the street and sidewalk where their residence is located. This is false. Streets and sidewalks are public. No resident can tell you to leave. If they try to, I'd stay longer. It's not just Columbia people. Don't be a bigot! Wonder when the police will visit the same block to question a SUSPECT that did the damage to my car? It was who you are suspecting? A lot of people hate you including someone on Locust St. It could have been anyone. People were damaging cars a while ago. So blaming someone with no proof gets you no where. Proof is in the pie! Glad to be loved and hated. What does crossing children have to do with me? NOTHING. It's GHETTO having ppl hang in front of ure house. WGAL NEVER has anything GOOD to report about Columbia....ONLY bad. We don't need you. Besides THE SPY and other news stations how are the residents or tourists to know what's happening?